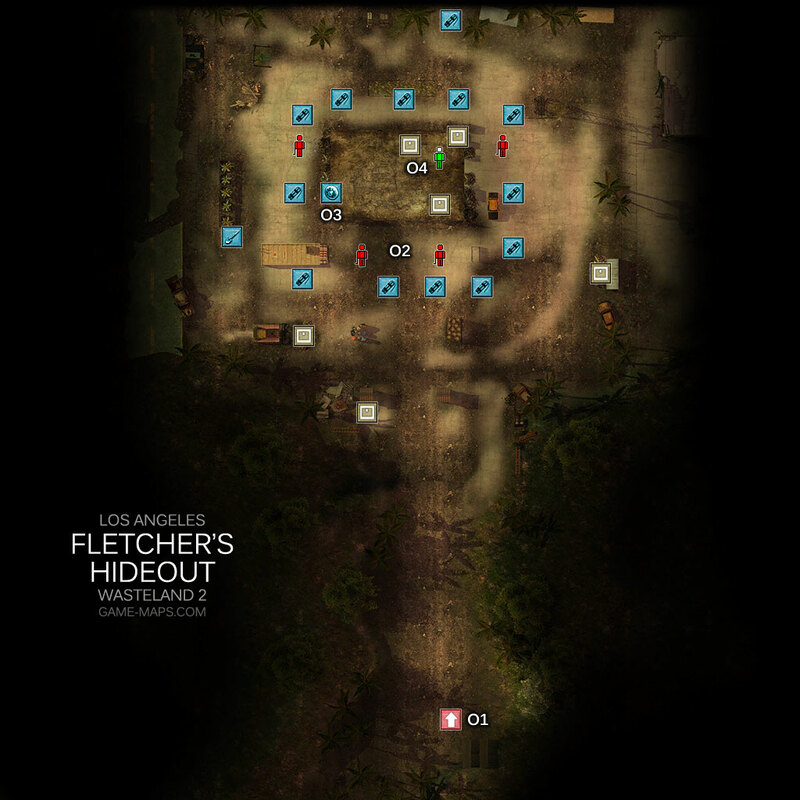 Fletcher's Hideout Walkthrough - Wasteland 2 Video Game Walkthrough with Maps & Game Guide. Quests, NPCs, Items, Secrets & Hints, Enemies, Skills to Use. You will find this location doing Save a condemned man - or not in Angel Oracle. 02 Do not wait too long, kill workerbots before they got Fletcher. Watch out for mines. QuestAngel Oracle Save a condemned man - or not. We found Fletcher at a small hideout. He's agreed to return to the stadium.